Here at Bar Patrol, we’d like to wish everyone a happy rum day. 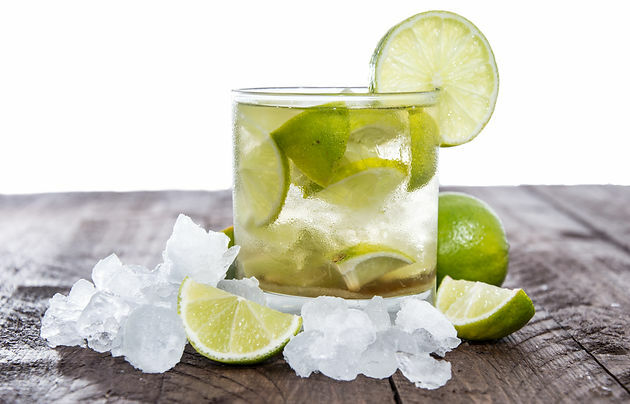 Since it’s the Olympics, we’re featuring the Caipirinha, made with cachaça, a Brazilian rum of sorts, the difference being that cachaça is made from fresh sugar cane and traditional rum is often made from refinery by-products such as molasses. The Caipirinha is awesomely refreshing, with barely any mixer, save sugar and lime juice, which means it can be enjoyed sans chug-a-lugging. You are also welcome to enjoy a Mojito today, but whatever you do, please do not confuse the two and put mint into your Caipirinha or we will find you and put you on a spit to roast for the natives. Muddle all ingredients in a bucket, making sure to smash up those limes good. Cheers, until the next time, and Happing Rumming!